Aamir Khan usually has a very astute understanding of what works for box office and does not shy away from giving his honest opinion. After watching the Race 3 trailer he had predicted that the film will be hit despite the mixed reactions. On the day of release of the movie he had tweeted wishing Salman well for the movie and wrote, “Hi Salman, I haven’t seen it yet, but I am sure that Me and my family are going to love Race 3! Love you personally and professionally. I loved the trailer! It’s going to be a blockbuster and break all records! Love.a.” Well, the Day 1 collections are Rs 29.17 crore making it the biggest blockbuster of 2018 so far. So yes, Aamir’s prediction has sure come true and how. We are sure Salman Khan must be delighted! Salman’s release and Eid go hand in hand and very rarely does it not rake moolah at the box office. There aren’t many big releases around this time around which gives Race 3 all the chance to make big bucks at the box office. Aamir’s last release was Secret Superstar where he had a special appearance and his next is Yash Raj Films’ Thugs Of Hindostan. Salman and Aamir started their Bollywood journeys in the late ’80s with Maine Pyaar Kiya and Qayamat Se Qayamat Tak respectively. They have worked together in the cult comedy Andaz Apna Apna. The two have mutual appreciation for each other and are always motivate each other not letting the box office competition letting in the way of their friendship. 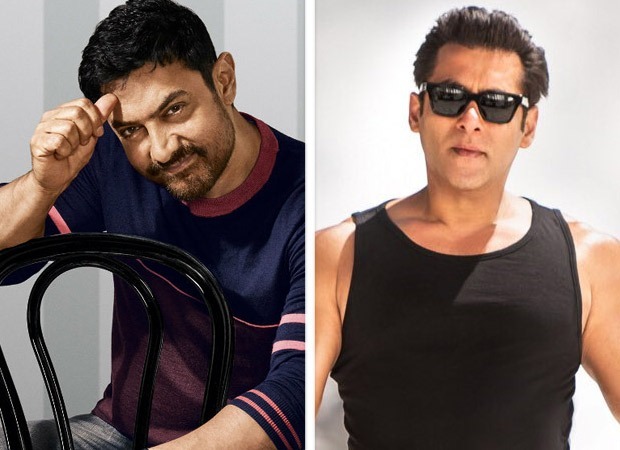 Aamir Khan has even publicly praised Salman on an episode with Koffee With Karan and acknowledged the massive star power he exudes. Hey Salman, wishing you many happy returns of this very special day. May good health, luck and love always be yours. Love. a.